Adam’s ABK and AFK scales are built tough to deliver reliable performance and effortless weighing. The Adam ABK Scale is Designed for rugged industrial applications, the sleek, stainless steel indicator with superior sealing protects from dust, ensuring longevity. 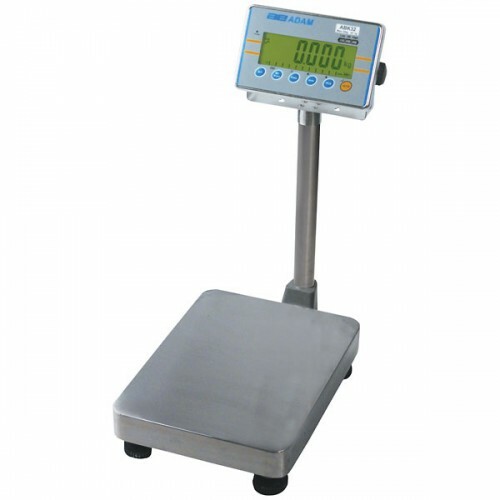 The ABK Weighing Scale is perfect for use as a warehouse weighing scale, or even as a scale for weighing suitcases and luggage. If you are having trouble finding a weighing scale suitable for your requirements, please don't hesitate to get in touch, and our friendly sales team will help locate the perfect Weighing Scale for your needs.